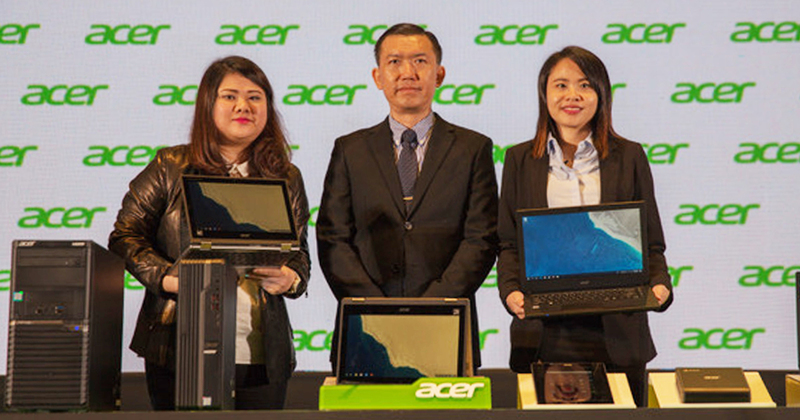 Petaling Jaya, 19 July 2018 – Acer Malaysia today extends its portfolio of devices for business and education environments with the unveiling of the powerful Veriton series in an array of forms and specifications, as well as TravelMates and Chromebooks of various sizes to provide different grades of performance. Powered by up to 8th Gen® Intel® CoreTM i7+ processors paired with Intel® OptaneTM technology, the Acer Veriton S, Veriton X and Veriton M series deliver a smoother, more responsive and fast computing experience, making it an ideal desktop to keep up with everyday business tasks with ease. With M.2 2280 PCle SSD, the desktops boast quicker boot-up, accelerated speed and performance to boost productivity. Speed and increased productivity is the name of the business with the Acer Veriton S, Veriton X and Veriton M series, as they also come with faster connection thanks to the 2x2 802.11ac and stable Gigabit LAN. Among the numerous ports included is a USB 3.1 Type-C Gen 1 port for high speed data transfer in some variants of Veriton X and Veriton M series. These performance-oriented desktops support up to three independent displays to maximize productivity, through D-sub, HDMI and Display Port without the need for additional graphics cards. For business owners looking for better performance with discrete graphics, the Acer Veriton S series and Veriton X series can support up to five independent displays with a simple addition of NVIDIA® or AMD® graphics cards. For security, a business class security Trusted Platform Module (TPM2.0) keeps workplace data secured. Featuring up to 4 DIMMs that support up to 64GB memory, the Acer Veriton X6660G and M6660G empower businesses with top-of-line performance. The devices support Intel® vPro TM technology which allows remote PC management and security tasks at hardware level i.e. even when an OS is down or PC power is off, making enterprise-level manageability even more convenient and cost-efficient. 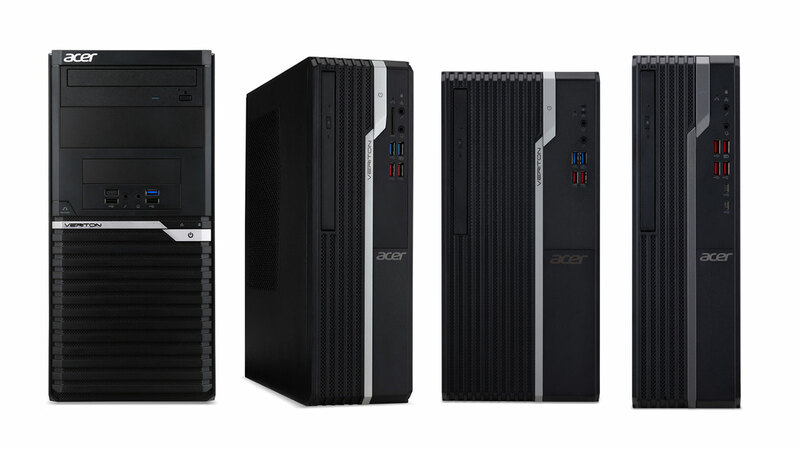 Designed for mainstream users, the Acer Veriton X2660G and Veriton S2660G are the best small form factor powerful desktops which provide business grade performance, security and management tools. The devices come with 2 DIMMs that support up to 32GB memory. 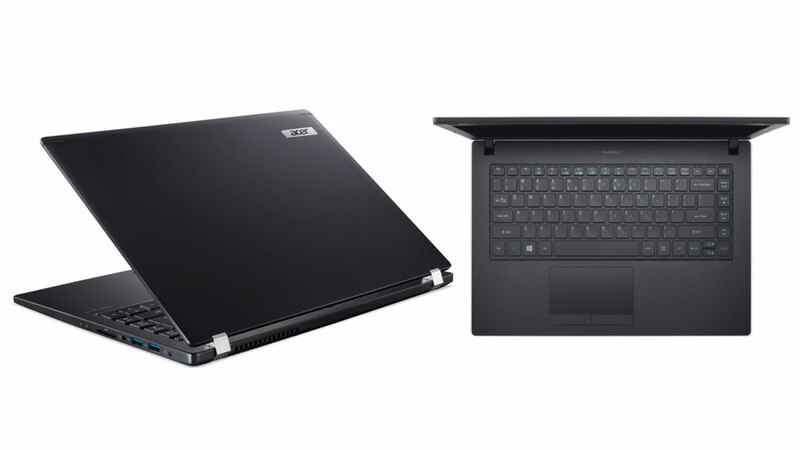 The Acer Veriton S2660G also comes with 256GB SSD in lieu of a DVD drive, and this contributes further to the quick boot-up. Acer Veriton S, Veriton X and Veriton M series are priced from RM1,999 onwards and will be available for purchase in early-August at Acer official online stores and all Acer authorized resellers nationwide. Acer TravelMate X3410 series and 1.6mm in the Acer TravelMate P2 series to ensure comfortable typing during long hours of work. The FHD display with patented Acer BuelightShieldTM and ComfyViewTM to protect eyes, provides clearer images, crisper text and vibrant web browsing experience. The devices also come with a robust design of smooth 180-degree opening to a flat position, allowing for the sharing of presentation with colleagues with more flexibility. The large precision touch pad is paired with multi-gesture capability to enable more usability through a host of actions using fingers and gestures. With the Cortana with voice certification for a better speech recognition, the personal assistant experience is enhanced, while the 720HDR webcam delivers clear visual by optimizing video shooting and image capturing automatically. Making it aptly suitable for secure business use is TPM 2.0, a hardware-based encryption to secure user credentials, email and data. It adds an additional layer of security and allows laptops to run applications more securely, making transactions and communications more trustworthy with the Acer TravelMate X3410 and P2 series. The professionals who demand uncompromising reliability and performance power to crunch multitasking and to conquer larger tasks, the Acer TravelMate X3410 features up to 32GB DDR4 memory and up to 512GB SSD. It offers battery charging with the single reversible USB Type-C port that also transfers data ultra quickly at up to 5 Gbps at the same time when power sharing with external devices. The compatibility of this port with Acer Type-C Dock also enables workspace capability expansion effortlessly. The Acer TravelMate X3410 is a serious business-class laptop optimized for productivity, security, and reliability for true professionals. Designed to meet the daily tasks of small and medium business easily and effortlessly, the Acer TravelMate P2 series comes with 4GB DDR4 memory and up to 32GB RAM. Available in two models, the TravelMate P2410 and P249 offers options for business owners who seek laptops that can level up productivity and connectivity as well as suitable for frequent travels. The TravelMate P2410 also uniquely comes with the option of 256GB SSD or 1TB hard drive. The Acer TravelMate P2 series is priced from RM2,499 onwards and available for purchase immediately at Acer official online stores and all Acer authorized resellers nationwide whereas the Acer TravelMate X series is priced at RM3,999 for the i5 model and RM4,899 for the i7 model. Both the Acer TravelMate X models will be available for purchase in September at Acer official online stores and all Acer authorized resellers nationwide. Designed for teachers, families and individuals who want to embrace the ease and security of Chrome, the new convertible Acer Chromebook Spin 11 features a stylish design that can be used in four versatile modes. With the Acer patented 360° dual-torque hinge design, it offers a wobble-free and optimized touch experience on the 11.6-inch HD IPS display with 1366 x 768 resolution. With four modes to choose from tablet, tent, laptop and display, finding the right fit for any usage need has never been easier. Enhancing its touch capability, the Acer Chromebook Spin 11 is bundled with a Wacom EMR stylus to maximize the functionality of the device with stylus input through fast, accurate and an excellent digital writing experience. 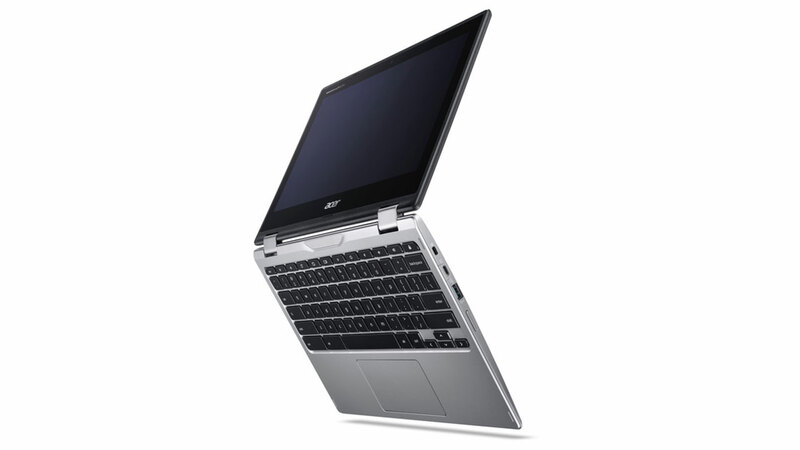 It comes with two cameras – the Acer HD webcam located above the keyboard has 88° of Wide Field of View (FOV) enhances video conferences and Google Hangouts in a large group without missing any details, and a second webcam that is placed on the cover to allow users to capture images or videos when in tablet mode. Collectively, these thoughtful features of the Acer Chromebook Spin 11 are compelling functionality that is highly appreciated in many teaching environments. Being a Chrome device, it fully supports Google Play and users have access to more than 2 millions of Android apps with the familiar touch gestures. The Acer Chromebook Spin 11 has two USB Type-C Gen 1 ports, which can be used to charge the device, for ultra fast data transfer up to 5 Gbps and to connect to an HD display to share visuals. Powered by Intel® Celeron® quad-core processor N3450, the Acer Chromebook Spin 11 comes with 4GB or 8GB LPDDR4 memory and up to 64GB on-board eMMC storage. With up to 10 hours of battery life, users can enjoy all-day productivity with just a single charge. The Acer Chromebook Spin 11 is available in two variants – the C6GV variant with 8GB DDR4 memory coupled with 64GB eMMC storage; and the C9K5 variant with 4GB DDR4 memory and 32GB eMMC storage. Priced at RM1,699 and RM1,399 respectively, both variants are available for purchase immediately at all Acer official online stores and authorized resellers nationwide. Compliant with rigorous U.S. Military testing that validates its ruggedness, the Acer Chromebook 11 is a device proven to be durable, reliable and of quality. It also adheres to MIL-STD 810F for sand and dust intrusion protection. The Acer Chromebook 11 C732 can tolerate drops from heights up to 122cm (48 inches) thanks to a durable corner-shield structure and rubber bumper surrounding the keyboard. The Acer Chromebook 11’s unique internal honeycomb structure reinforces the body to handle up to 60kg (132 pounds) of downward force on the top cover. The reinforced case and hinges result in greater resistance to twisting and stress, even if students cram them into their backpacks or lean their weight on their bags with the laptop in it, when sitting. Weighing just 1.26kg, the Acer Chromebook C11 is ideal for use anywhere – at home, school or on-the-go. 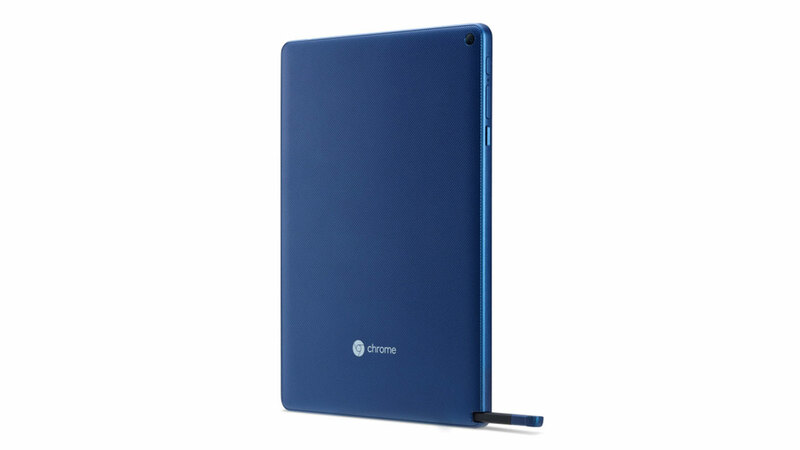 The 180-degree hinge offers better viewing angles on its 11.6-inch IPS screen display for sharing purposes. 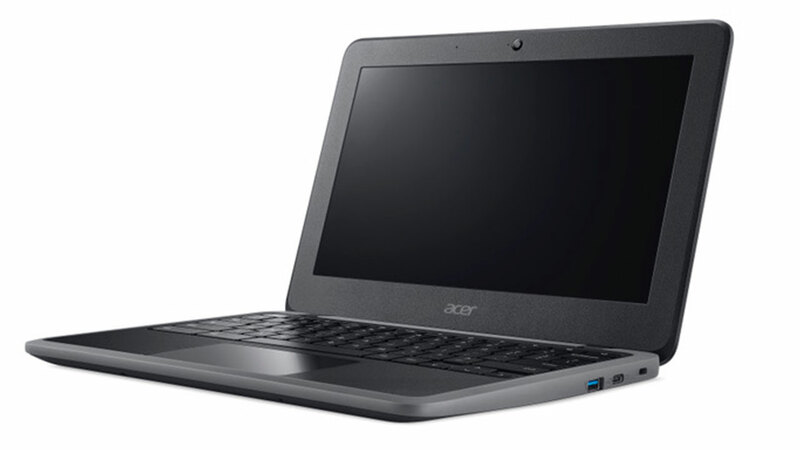 The Acer Chromebook 11 includes two USB 3.1 Type-C Gen 1 ports, which can be used to charge the laptop or other devices, transfer data quickly up to 5 Gbps and connect to an HD display. The Acer Chromebook 11 delivers solid computing performance powered by Intel® Celeron® quad-core processor N3450, and with 12 hours long battery life, all-day productivity and entertainment with just a single charge is the order of the day. This built-to-be-tough and to withstand kids’ use laptop is priced at RM1,099. The Acer Chromebook 11 is available for purchase immediately at all Acer official online stores and all Acer authorized resellers nationwide. Acer Chromebook Tab 10 is the first education tablet running Chrome OS. Built for classroom environments to enhance and expand student learning, the Acer Chromebook Tab 10 brings the speed, simplicity and security of Chrome OS into the tablet form factor. Equipped with an OP1 processor that integrates dual-core Cortex-A72 and 4GB of RAM and 32GB of storage, Acer Chromebook Tab 10 is responsive and can run multiple apps at once. The 9.7-inch QXGA IPS touch display provides 2048 x 1536 pixels per inch, offers students incredibly clear perspectives for classwork. It can last up to 9 hours on battery, making it perfect for students to use throughout the school day. And should they run low on battery, and are without a charger, fret not! The Acer Chromebook Tab 10 can be charged using a powerbank via its USB 3.1 Type-C port. The Acer Chromebook Tab 10 also fully supports Google Pay, which gives teachers and students access to educational Android apps that have been approved and curated by administrators to let them collaborate, discover, engage and learn. In addition, it is compatible with Chrome Management Console where a school administration can manage the device with ease, similar to that of Chromebook, Chromebox and Chromebase. The device comes standard with a Wacom EMR stylus which can be embedded in the chassis dock for secure storage. Students can work precisely with interactive apps, sketch, take notes and capture ideas that can be shared with classmates and teachers. The Wacom EMR stylus does not require a battery and is resistant to accidental drops. Acer Chromebook Tab 10 will support augmented reality in the future to enable immersive learning experiences with Expeditions AR. Expeditions AR is Google’s AR technology that maps the physical classroom and places 3D objects in it for students to study, making the subjects such as biology, geography and astronomy easier to comprehend. Priced at RM1,299, the Acer Chromebook Tab 10 comes in unique cobalt blue colour and is available for purchase immediately at all Acer official online stores and all Acer authorized resellers nationwide. 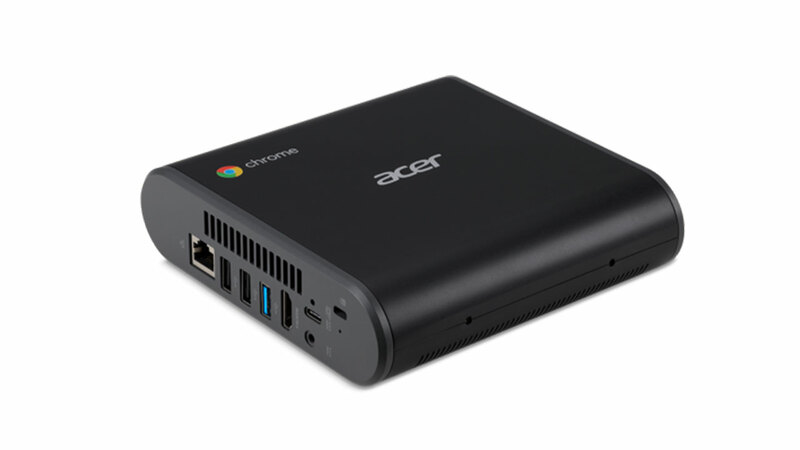 The Acer Chromebox CXI3 is equipped with easy-to-use Chrome OS and is ideal for business. Available with up to the latest 8th Gen® Intel® CoreTM i processor and comes with up to 16GB DDR4 RAM, the Acer Chromebox CXI3 delivers powerful and responsive daily computing performance. With the faster boot-up time within seconds, and USB 3.1 Type-C Gen 1 for fast transfer of power and data, users can look forward to productivity without lag. Its capability to support dual monitors through HDMI and Type-C ports without any additional effort makes it a breeze for users to spread out work browsers onto two displays. Running on the reliable Chrome OS, the Acer Chromebox CXI3 comes with the first class security with Google automatic software upgrades, fixes and new features. All the files are securely stored in the cloud. The Acer Chromebox CXI3 gives peace of mind with its always up-to-date security feature. The Acer Chromebox CXI3 is compact in design and fits neatly into any workplace, especially small and limited areas. Its space-saving design with three modes: flat, stand and VESA mount, make it easy to be placed anywhere. The Acer Chromebox CXI3 is priced at RM1,999 and available for immediate purchase at all Acer official online stores and authorized resellers nationwide.